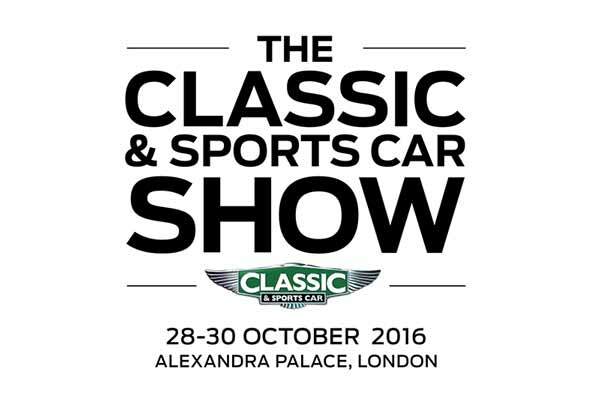 Classic & Sports Car Show 2016 event returns to Alexandra Palace from Friday 28th October to Sunday 30th October 2016. The inaugural Classic & Sports Car London Show in autumn 2015 was an enormous success. With over 15,000 visitors attending the inaugural event. The show has confirmed it will return once again to the spectacular and historic Alexandra Palace in London and promises to be bigger and better. Classic and Sports Car Show 2016 – What’s on? For 2016 the Classic and Sports car show organisers have expanded the show to give visitors even more to see and do. Visitors can expect over 300 of the world’s most prestigious classic cars, celebrity guests and the world’s most-renowned dealers. The inaugural event was full to the rafters with amazing features. Visitors were treated to a ten-car display featuring The Best British Car Ever as voted for by the public in a global poll (the Jaguar E-Type came out on top). There were also tribute displays honouring Aston Martin and Sir Stirling Moss’s single seaters. One of the real highlight’s was undoubtedly the interviews with a host of motoring greats on the Interview Stage. 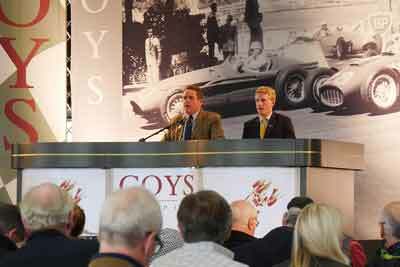 Including Norman Dewis OBE, Ross Brawn OBE and Sir John Egan. Auction house Coys will put a host of iconic classics under the hammer at the Classic and Sportscar Show 2016. A wider range of ticket options are available for this years show. A limited earlybird offer of general admission tickets priced at £20 for adults (£26 on the door) and free for children under 12 years old. Family tickets for four (adults or children over 12 years old) are available for £69 in advance(+ £2 booking fee) or £72 on the door. New for 2016 is the availability of a selection of premium tickets. The Gold package (£50 per person) – this includes fast track preview entry from 9am, a Show Programme and a glass of fizz in addition to the general admission and Routemaster shuttle bus transfer. Gold package ticket holders also receive seating in the dedicated Gold Lounge and a reservation service at the fine dining à la carte restaurant. Platinum tickets (£100 per person and limited to just 150 people) including everything in the Gold package and also a continental breakfast and lunch buffet in the exclusive Platinum Lounge. In addition, Platinum visitors will receive a tour of The Show from a member of the Classic & Sports Car magazine team, a three-month Haymarket digital subscription, a signed poster and a copy of The Daily Telegraph with limited edition show bag. The Gold and Platinum ticket packages are available to over 18s only. Classic and Sports Car Show 2016 is organised by Classic & Sports Car magazine and Haymarket Exhibitions.